If life gives you lemons make… lemon cake. From the classic lemon drizzle cake to multi-layered showstoppers bedecked with frosting, this collection of lemon cake recipes has plenty of options for the avid home baker. A hit of vibrant acidity makes lemon cake great for a picnic basket. Conversely, when the weather is grey, some citric brightness can bring a ray of sunshine to cut through the greyest of winter days. If you have a hankering for lemonade but also fancy baking, why not have the best of both worlds with Sally Abé’s Lemonade cake? Zesty sponge with a zingy sherbet buttercream icing, it’s a sophisticated take on childhood flavours. 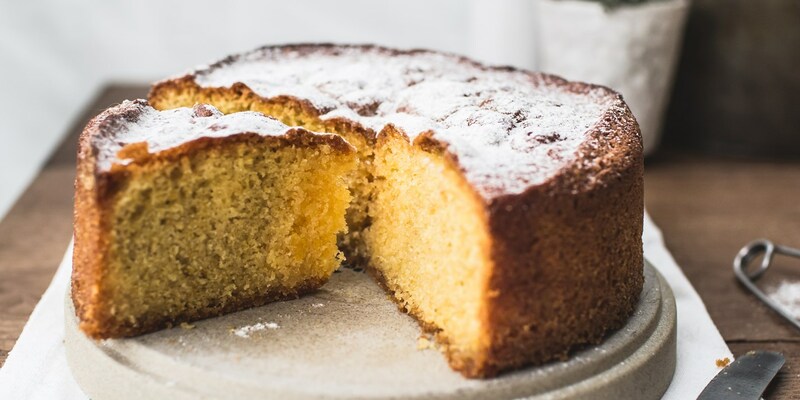 Or for a dairy and gluten-free alternative this Flourless lemon cake recipe uses ground almonds for a deliciously soft crumb and comes with a tart rhubarb compote.